Did it ever occur in you to sometimes hide from your daily chores and just rest in the afternoon or the rest of the day? Well it would be expensive to travel far just to sneak a nap for few hours so it would be more enjoyable if we can do it near or within our own homes. 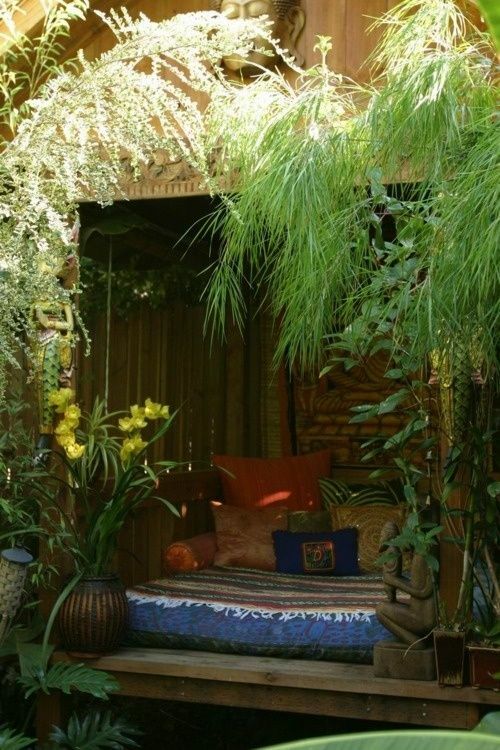 With this garden hideaway it's easy for tired Moms to sneak and hide in this oh so comfortable garden bed which looks like a modern floating hut. It's so inviting that I'm sure you'll have a relaxing and comfortable sleep. If you're not sleepy and just want some time out from daily scheduled chores you can just relax here and read or bring your lappy and surf. This is just a nice suggestions for Moms out there who never stops working, it's time to unwind and spend some time outdoors in your own garden.